No doubt prompting a flurry of Google searches titled ‘What does non-contract basis mean?’, earlier today Bradford City announced the triple signing of Mo Shariff, Ben Williams and Matt Urwin on non-contract terms. Shariff, who is 21, joins the club after impressing on trial during the past fortnight. The attacking midfielder made substitute appearances against Blackburn and Hartlepool, plus appeared in a Bradford City XI victory over Bradford PA, and really caught the eye. Released by QPR in the summer, Shariff is clearly a confident player with an eye for goal. And there are comparisons to make with the early days of Nahki Wells (and let me stress, we are merely comparing his situation with the early days of Nahki Wells at this point) in that Phil Parkinson can be confident of bringing Shariff off the bench, in a competitive match, and the player having an instant impact on proceedings. Meanwhile goalkeeper Williams, 31, arrives with a much greater wealth of experience. Originally climbing up the Manchester United youth ranks but being released before making an appearance, Williams made a name for himself at Crewe Alexandra – playing in the Championship – before moves to Carlisle (for a season) and Colchester United (three seasons). Williams has spent the last two campaigns playing regularly for Hibernian in the Scottish Premier League and winning the club’s player of the year award for 2012/13. Although his time in Scotland does need qualifying somewhat by the fact the famous Scottish club – and Williams – were relegated from the SPL last term. Still, Williams more than fits the bill of an experienced back-up keeper to cover Jordan Pickford. And with the Sunderland loanee barred from playing in cup competitions by his parent club, Williams is guaranteed a Bradford City debut in next week’s League Cup encounter with Morecambe. Another shot-stopper signed up is former Blackburn youngster Urwin, who like Shariff has been trialled by Parkinson during pre-season. 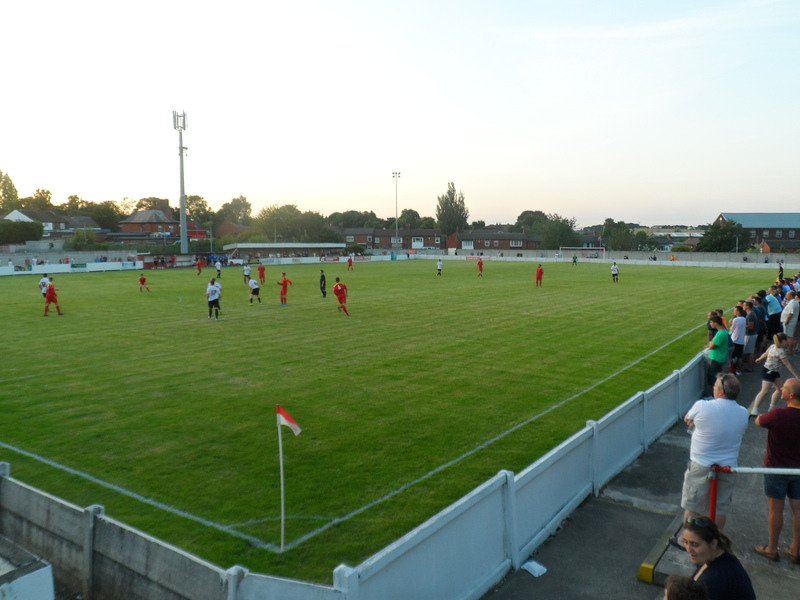 Urwin made his debut in the second half of a reserve team friendly at Ossett Town and, frankly, didn’t cover himself in glory by allowing a long-range free kick to sail past him for the non-league side’s opener. Urwin played the second half in the friendly against his former side, Blackburn, and wasn’t really tested. 20-year-old Urwin is probably being brought in as one for the future. So a good day for the Bantams as the urgency to bring in reinforcements grows, although the non-contract terms of all three players sits slightly uneasily. They are on week-to-week deals rather than anything more concrete, which enables City to cancel the contract at short notice and, on the other side of the coin, means the players are free to depart whenever they like (for example, if a better offer comes along). For now, all three players appear to be very short-term solutions; and whilst undoubtedly they are needed to bolster what looks a talented but thinbare squad, they nevertheless appear to come with a sticky plaster, ‘make-do’ feel. For week’s Mr Parkinson has been in the Telegraph about the need for new recruits. Was this tactical to move the board quicker & release more funds?. Non-Contract player’s coming in can mean 2 thing’s. 1. These will player’s will do for now until I find the player’s I want? 2. Let’s see how they do & contract ready if make impact? It’s proven one very difficult summer for player recruitment due to £600,000 wiped off the wage bill. What are we to read into this move? Whilst pleased that we are getting numbers in and Williams has a decent pedigree and as Jason has said, Shariff looks promising, this is all starting to look a bit like a game of wills between PP & the board. I could be completely wrong and i’m a huge PP fan but has he deliberately manufactured the situation by spending nearly all the budget on Knott, Liddle & Clarke along with new deals for Darby & McArdle to prove a point? He has neglected the keeper & wide positions shockingly so far although i could be proved wrong if a couple of good class loanees appear in the next few days. Am i looking too deeply at the situation or is there something else at work here? The board are demanding progress yet expecting PP to it with one hand tied. I understand and applaud their work in making the club debt free but to lose £500k from the playing budget is a tough ask. Is this the first crack in the relationship between manager & board? Time will tell. Ian I’m of the same opinion. Ian, maybe you are reading too much into what PP has done so far and it’s just a vivid imagination which thinks there is strain in his board relationships. Sheehan and Meredith have also signed up giving us better overall defensive cover than before. The goalkeeper situation has moved on with hopefully good competition. We should be capable of improving on last season’s defensive record, which will be an excellent foundation. We may be light on numbers but other than the winger situation, which may be resolved by a good loan or two as we saw last season, there may be better overall flexibility in this squad. If I have a concern it is where the goals might come from and we will need Mclean to show much more than he has done so far. But it is good to see radical change in the midfield which was needed and probably in the style of play which had become predictable.